Though the scene predates my birth by a few decades, even youngsters like me are aware that in the late 1960s, Northern California was the cultural hub of the known universe. Well, maybe not this far north. But the hippie hangover we experience here locally today is testament to the significance of what was happening regionally. Some 40-odd years after the peak of the "San Francisco sound," there is still always at least one Grateful Dead cover band active in Humboldt (currently, The Miracle Show is holdin' it down). Hell, this weekend there's an entire Grateful Dead-themed festival taking place in SoHum. The ’60s live! But the most direct link to the "San Francisco sound" that will be on display in Humboldt this week is jamband granddaddy Quicksilver Messenger Service. While perhaps lesser known these days than The Dead, Jefferson Airplane or the Janis Joplin-fronted Big Brother & the Holding Company, QMS, formed in 1965, was certainly one of the most important bands to come out of the ’60s S.F. psychedelic scene, charting several albums in Billboards Top 200 album charts during their heyday. So why is QMS less celebrated than their legendary contemporaries? One theory: While The Dead, The Airplane and Joplin all made it to the cultural milestone event of their generation, Woodstock, the Quicksilver crew apparently missed the bus. Major bummer. Luckily, Humboldt County can offer some redemption. This weekend, Quicksilver Messenger Service headlines Woofstock, which takes place Sunday, Aug. 22 at Halvorsen Park in Eureka from 10 a.m. to 6 p.m. Sure, you may argue that QMS playing Woofstock is not exactly as high-profile as Woodstock would have been. And you'd be right. But c'mon, we're talkin' one stinkin' consonant here, people. And the crowds will be comparable in smell and fuzziness. Let's call it good. (QMS plays on the main stage at 4 p.m. preceded by local R&B group Blue Rhythm Revue at 2 p.m.) And while it's true that today's QMS only has one member, Gary Duncan, left from the original ’60s lineup, we promise you'll hear familiar tunes. 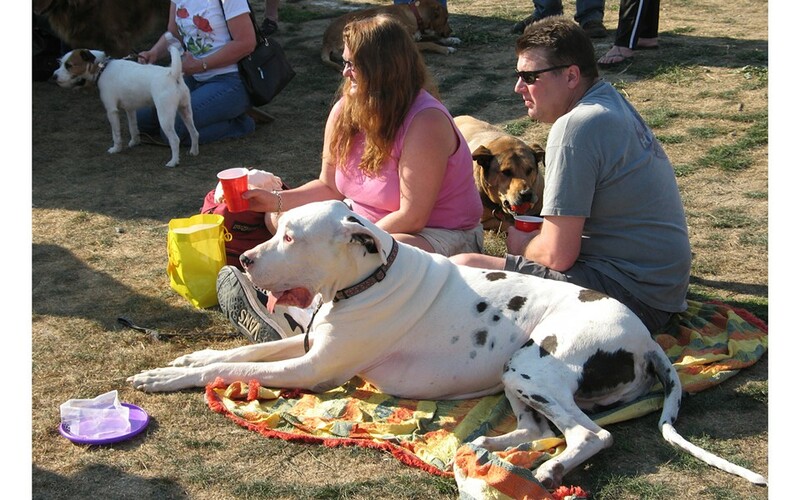 The "biggest dog festival in Humboldt County" also features the Mutt Strut dog parade at 11 a.m. where you'll see hundreds of four-legged friends marching through the streets of Old Town. There's also a flurry of furry contests including the Weenie Dunking Contest (all day) along with Best Costume, Dog/Owner Look-a-Like, Best Wag and Cutest Dog (all 12:30-ish). And there's Quacks for KEET, the Great Humboldt Bay Duck Race with your adopted rubber duckies drifting in the Bay, competing for big prizes (that's at 1:30 p.m.). As with any good Humboldt festival, expect to get your fill of great local food and beer as well as peruse many vendors' booths. Did we mention that (aside the Quacks for KEET duck race) all proceeds go to support the Sequoia Humane Society? It's true. Admission is $15, $10 for SHS members, kids under 12 and Mutt Strut participants free. For more info on Woofstock, check out www.woofstock.org. For more info on Quicksilver Messenger Service, raid your dad's vinyl collection.